← It’s Christmas Time! Or NOT? Just last Sunday Mum told me that she actually has 4 children, 1 star child and 2 rainbow children and me. You’re the star child and we sadly never got a chance to meet the 2 rainbow children, which would be my/our younger sister or brother, as they left before being born. 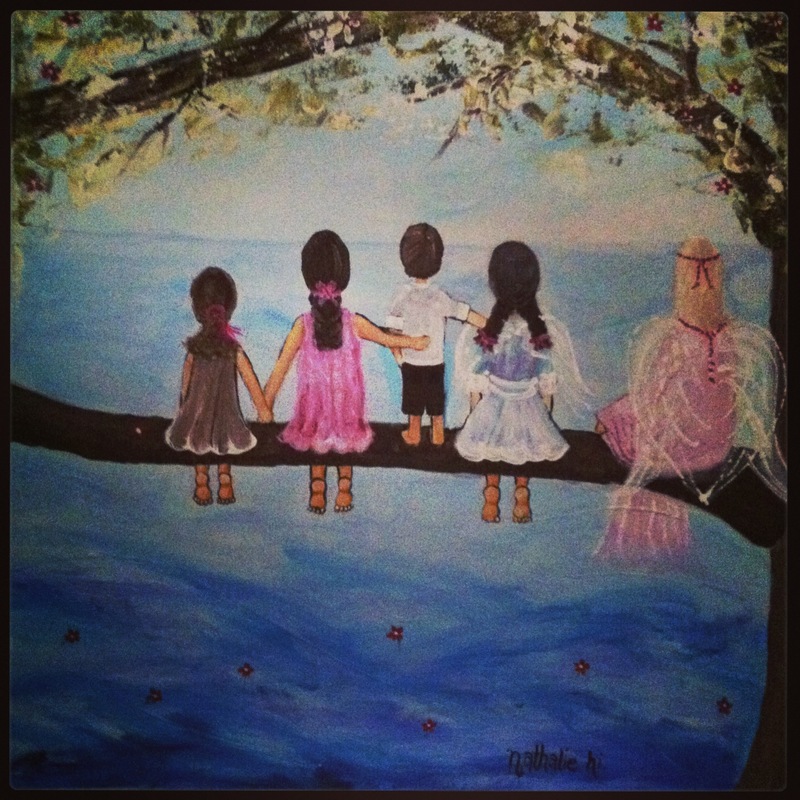 Mum is really sad about that… She has introduced them all to me: she painted all of us in one picture last August: (from the left) There are Rumi, then ME, Jai, YOU Amya and then the Angel. She painted them before she even ‘met’ her rainbow children. Honestly, even though ‘upa’* is my favorite song and I always think of you among the stars, what I REALLY want is a sister or brother to play with, in real, not on the picture. PS. Dad found the Christmas book… Mum wasn’t excited about it, not sure why………………. This entry was posted in family, missing my sister, mum and dad and tagged Angel, Mothers Day, twinkle twinkle little star. Bookmark the permalink. I really like the terms star child and rainbow child. Beautiful. Keep on going. Me too. I was familiar with the term rainbow child but had not heard of star child before.